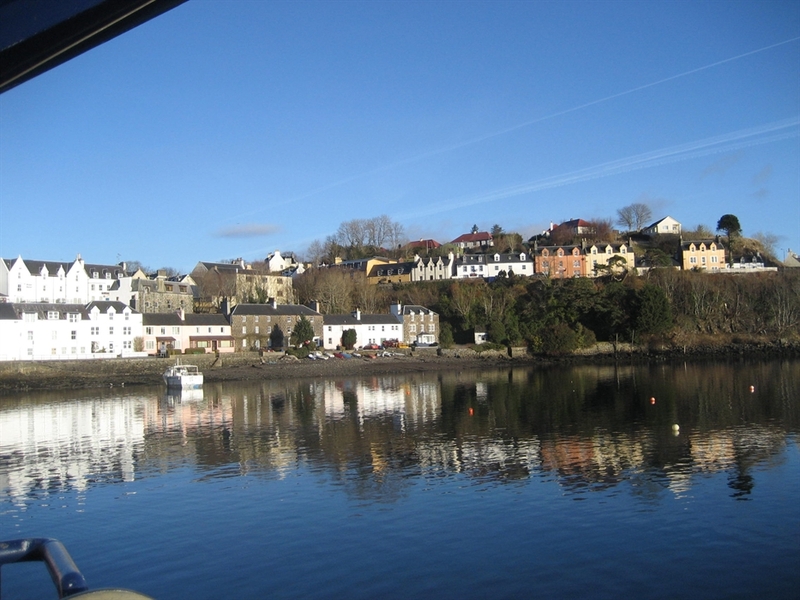 Gleniffer House has a magnificent location on the beach front in Portree. 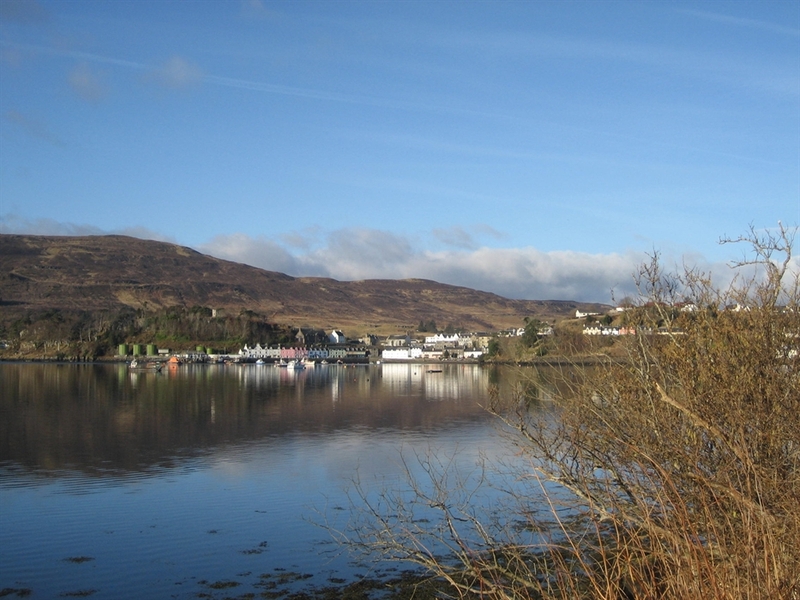 According to many guests "The best location in Skye”. 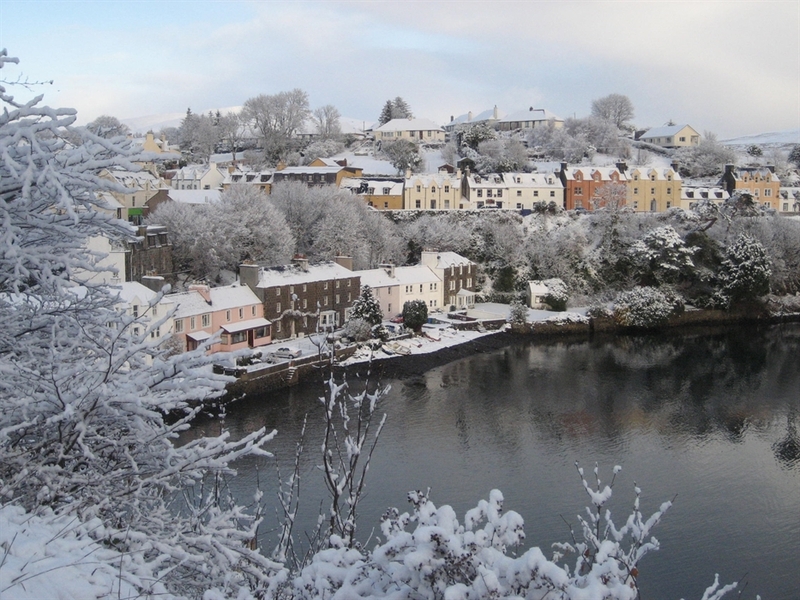 A traditional three storey Georgian stone house with bay windows, all rooms have amazing panoramic views over Portree Bay and harbour, the Cuillin Hills and the Isle of Raasay. You can lie in bed and watch the boats sail in and out of the bay, or watch for the fishing boats landing the days catch. The house is ideally situated as shops, fishing, boat cruises, pony trekking, swimming pool and leisure centre are all within a short distance. There are several good restaurants within the bay and a short walk away. Skye also has one of the top five restaurants in the world ”The Three Chimneys"
The house is exceptionally well appointed and equipped. Is furnished with original antique pieces and works of art. All carpeting and furnishings are of very high quality. 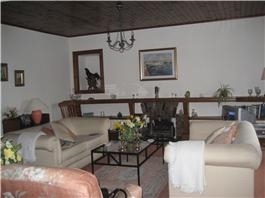 On the ground floor there is a large lounge with fireplace adapted to an electric fire, a fitted kitchen with original Aga cooker, dishwasher, fridge freezer, microwave and other appliances. Also on the ground floor a study with free WIFI (useful for those who have to keep in contact with the workplace or students) and also a utility room with washing machine and tumble drier. On the first floor there is a double bedroom with en-suite bathroom, a second bedroom with an antique brass and cast iron double bed with custom made table with large oval bowl. The second floor has one twin bedroom with vanity washbasin and also a shower room with WC wash hand basin. The house has been awarded four stars and we work hard to maintain its standard. The house is centrally heated by night storage heaters. It is tastefully furnished and fully carpeted. There is a seafront garden with table and chairs and parking. We have an old telephone box as the garden shed. Our wish is to provide our guests with a home from home - a tastefully decorated house with lots of extra conveniences and comforts, books, DVD’s, games for rainy days, hi-fi. Wi-Fi etc. Departure time is 10am and arrival is at 4pm. Latest arrival is 10pm. WE LOOK FORWARD TO WELCOMING YOU TO SKYE!